Are you worried about the problem of the slippery floor? 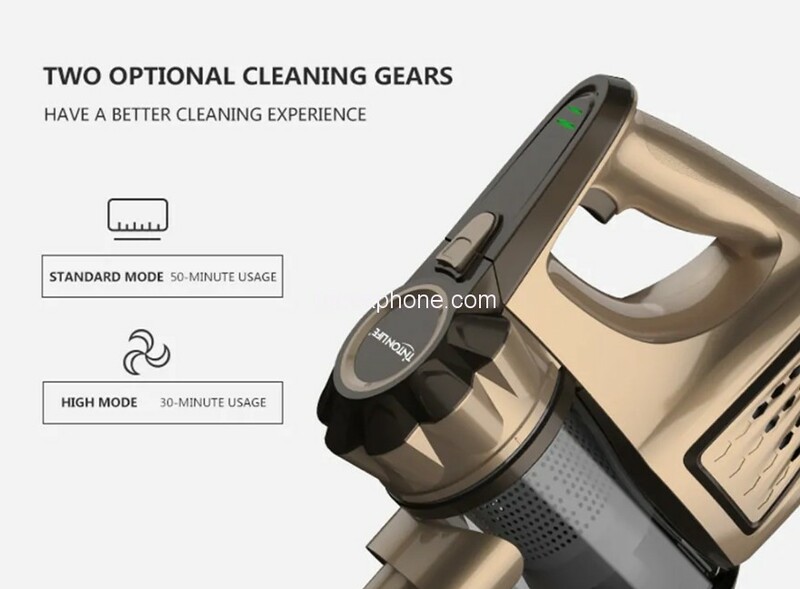 This TINTON LIFE VC812 Hand-held Stick Vacuum Cleaner adopts the slightly wet cleaning tech, spay water when mopping and the floor will dry quickly. Wide spray range features labor-saving and is perfect for your family. TINTON LIFE VC812 Hand-held Stick Vacuum Cleaner design with 2-in-1 use of hand-held and vertical, making it much more practical, not only can you choose the right way to use it according to your personal needs, but you can also clean all areas with roller turbine wide floor brush, easy to clean all kinds of large dust and garbage. Wireless design with 2-in-1 use of removing mites and sweeping floor, making it much more practical, not only can you choose the right way to use it according to your personal needs, but you can also clean all areas conveniently. With roller turbine wide floor brush, easy to clean all kinds of large dust and garbage. If you’re looking for a useful home cleaning tool that can be a wonderful help for cleaning your home, this vacuum cleaner is a good choice for you. TINTON LIFE VC812 Hand-held Stick Vacuum Cleaner is also equipped with a 2-in-1 function of the soft roller brush, which can clean the hard ground as well as the short hair carpet. TINTON LIFE VC812 Hand-held Stick Vacuum Cleaner sports a Carbon fiber rolling brush which sweeps all kinds of dust efficiently. It comes with three sets of flexible wheels and 270-degree adjustable angle which makes it suitable for cleaning on hardwood, carpet, tile floors, car, bed, etc. 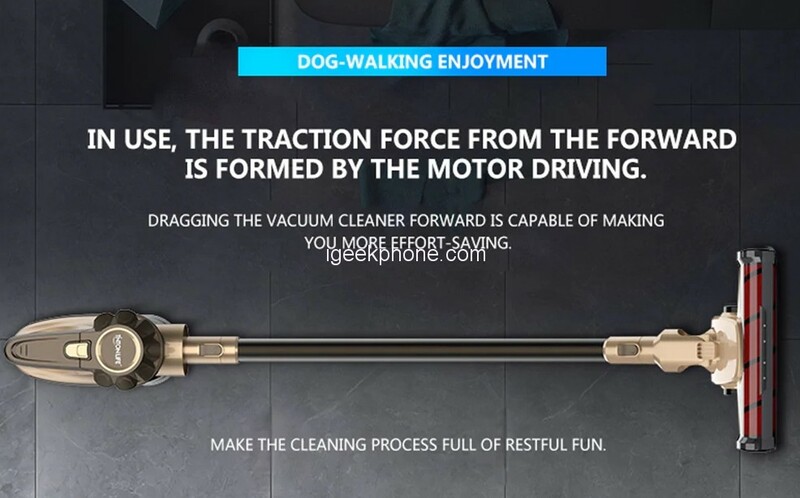 Furthermore, it comes with two-speed control, for efficient and thorough cleaning on different occasions. 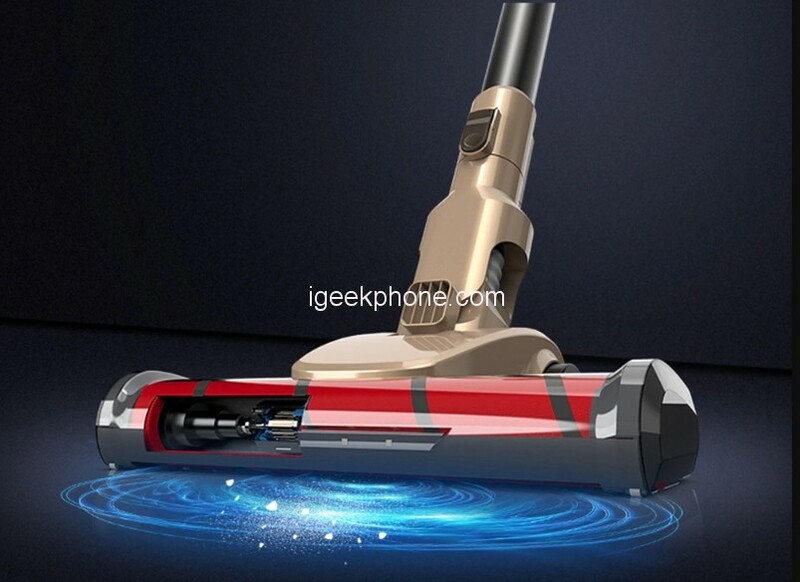 TINTON LIFE VC812 Hand-held Stick Vacuum Cleaner sports a strong power digital motor which clocks 280m/s vacuum speed and a 17000pa powerful suction thus it quickly cleaning all kinds of debris, dust mites, and allergens. This product is further designed with cyclonic filtration such that different sizes of debris are filtered by different compartments in this device. It is easy to dismantle, empty and install after cleaning.